Our Advisory Board consists of insightful business leaders working with Global Chamber® Phoenix on helping companies to increase cross metro and border trade... with exporting, importing, foreign tourism and FDI/investment. Read more HERE about the committees managed by the Advisory Board. Members may join and participate! Advisory Board activities are easy ways to engage with the global tribe to grow your business. Anita Verma-Lallian is the Director of Marketing for Vermaland. Vermaland was founded by her father and is one of the largest private landowners in Arizona. Anita holds a BS in Business Administration from the University of Arizona and an MBA from the University of Southern California. Anita formed the Verma Charitable Foundation in 2014. 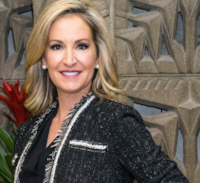 She was named one of the Most Influential Women in Business by AZRE in 2014, was one of the "Women Who Move the Valley" for Arizona Foothills in 2015, and was the cover story for So Scottsdale in 2014. Anita leads our Business Attraction Committee. 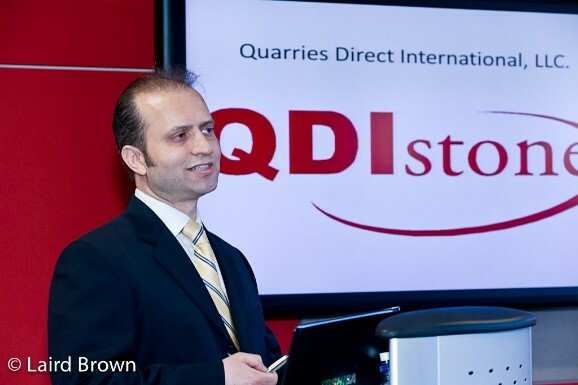 QDI SURFACES is one of the largest direct importers and wholesale distributors of Travertine, Marble, Limestone and Porcelain Tiles, Pavers, Poolcopings, Mosaics, Slabs and related accessories in the US. Arif is President and CEO, and is active in the growth of the company, an INC. 5000 award winner. 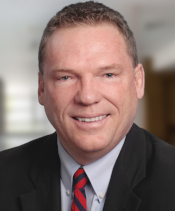 Brett Plains joined BBVA Compass in July of 2016 and has 18 years of banking experience primarily working with business owners and commercial banking clients. As a Corporate Banking Team Lead, Brett leads the Emerging Companies Commercial Banking Team. He is responsible for expanding commercial banking practice across Arizona, with a primary focus of working with companies between $10 and $50 million in annual revenues. He leads a group of professional, talented, and dedicated individuals that share a common goal of creating opportunities for banking clients. Education: MBA Global Management, Thunderbird School of Global Management, Bachelors in Finance and Business, Arizona State University, Certified Treasury Professional, Association for Financial Professionals. 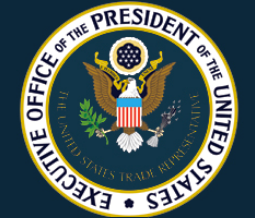 Carol has been representing the Office of the President of the United States, U.S. Trade Representative for Arizona. She also serves on the Arizona District Export Council, and is Chairman at Amber Alert GPS. Carol leads our Trade Policy Committee. 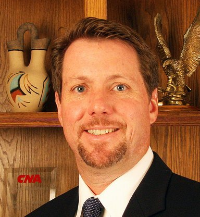 Dave, along with his two brothers, is second generation owner of General Southwest Insurance Agency. His practice includes providing risk management advice and insurance solutions to families, professionals, non-profits and businesses. He works both domestically and internationally and can help enterprises that have operations overseas. Dave is an alumnus of AIESEC Arizona State and recently became a dual citizen of Luxembourg. Born and raised in Mexico City, David graduated from UI (Universidad Iberoamericana) with a degree in Biomedical Engineering, which created the opportunity for a second venture in the medical field distributing surgical lasers. David’s interest remained in medical imaging and his experience in the field and a degree in Medical Imaging Infrastructure from MIT, David’s opinion in designing and specifying digital imaging departments became very well respected throughout Mexico becoming a business column writer for “Diagnostic Imaging America Latina” a Miller Freeman Publication and a Board Member of the Mexican Society and the Mexican Federation of Radiology (SMRI and FMRI). 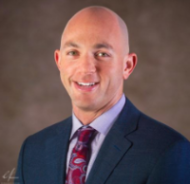 David moved to Scottsdale with the purpose of turning his passion for cross border business into his third business endeavor, creating a holding group of international companies in several industries including manufacturing, hospitality and professional sports. David now consults companies wanting to expand operations in Mexico and the United States... including partnering with Global Chamber on the organization's growth in Mexico. 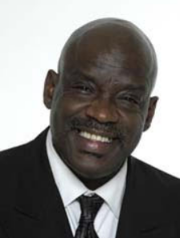 William Doc Jones has over 35 years of experience as music educator, program and project Director in the realm of Music and TV production. He has more than 30 years of professional performance experience, including band director, traveled abroad with noted artists, writer/director of live stage musical performances, arranger and writer, producer, recording studio owner/operator. Noted for music instruction project development and execution of satellite programs (Chicago, Illinois and Phoenix, Arizona), including as a professional musician. For the past 6 years has been working in conjunction with UNESCO and Herbie Hancock to bring attention to worldwide International Jazz Day. As a Corporate Real Estate Leader while serving the State of Washington, Bank of America, McDonald’s Corporation, Washington Mutual Bank, Shurgard Storage Partnerships and Tosco Marketing Company (branded BP Oil, Exxon, 76 Products, Circle K), Don’s teams successfully engaged in over $3 billion in Real Estate related transactions. As Washington States Deputy Director of Real Estate, Don’s team achieved numerous first-ever successes returning over $13 Million to internal customer departments on behalf of tax payers. 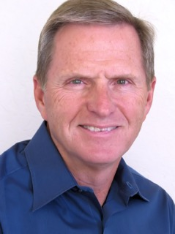 Don has also been working in a leadership role at Global Chamber Phoenix across the Advisory Board committees. Doug founded Global Chamber®... the world’s first organization helping companies grow from anywhere to everywhere across 525 metros. Doug and the team help members of find new business opportunities so that they grow more rapidly with less risk. Career highlights include co-founding a data backup franchise, turning around a software company, and working with DuPont primarily in Asia. 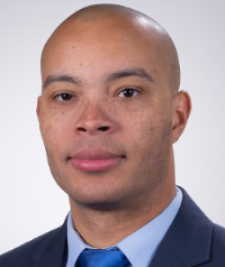 He is a Chemical Engineer from University of Utah, and earned an EMBA from Michigan State University. Vice President of International Development & Logistics at Kahala Corp.
Eddy is Sr. Vice President of International Operations and Development at Kahala. 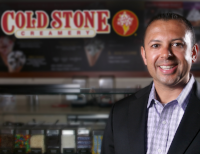 In addition to overseeing all of the international new market pre-opening support efforts, he has been responsible for the international development of the Kahala brands including Cold Stone Creamery, Blimpie, America’s Taco Shop, Ranch One, and Great Steak and Potato. His mission is to identify and contract the ideal partners as master franchisees for the development and growth of our Kahala brands throughout the world. Eddy also oversees all business aspects involved in Kahala’s international business including operations and development. Eduardo González was appointed Deputy Trade Commissioner of ProMéxico in Phoenix on September 2015. 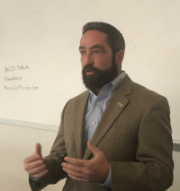 Mr. González holds a degree in Public Accounting from the Autonomous University of Baja California in Mexico, and holds several certifications in management and risk management. 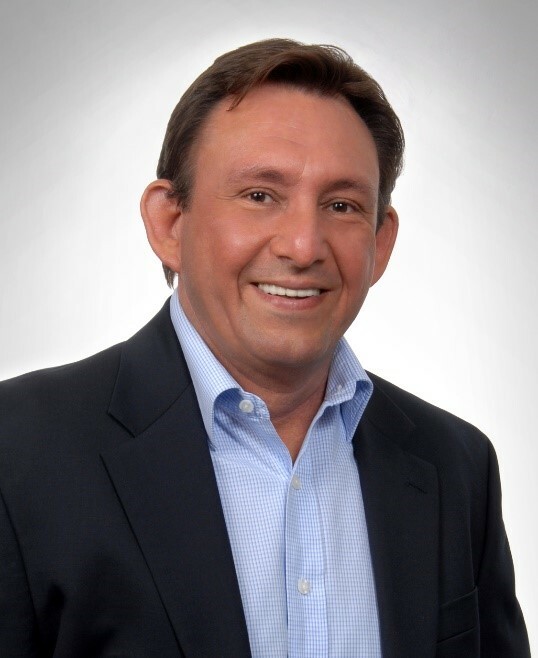 He also has an extensive resume in business promotion within major Mexican companies with international exposure. Additionally, he has vast experience representing the Mexican Government, as he previously served as commercial delegate for Bancomext in The Hague, Netherlands. 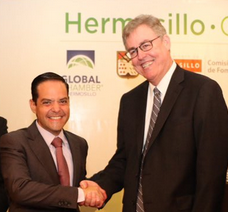 Recently he served as State Director of the ProMexico office in the state of Baja California. 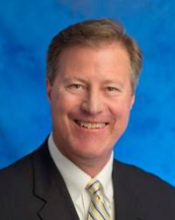 Hank Marshall is Economic Development Executive Officer for City of Phoenix and he oversees the department's International, Business Development and Business Retention/Expansion programs and initiatives. His team is charged with the pursuit of opportunity that advances economic prosperity for the city of Phoenix. 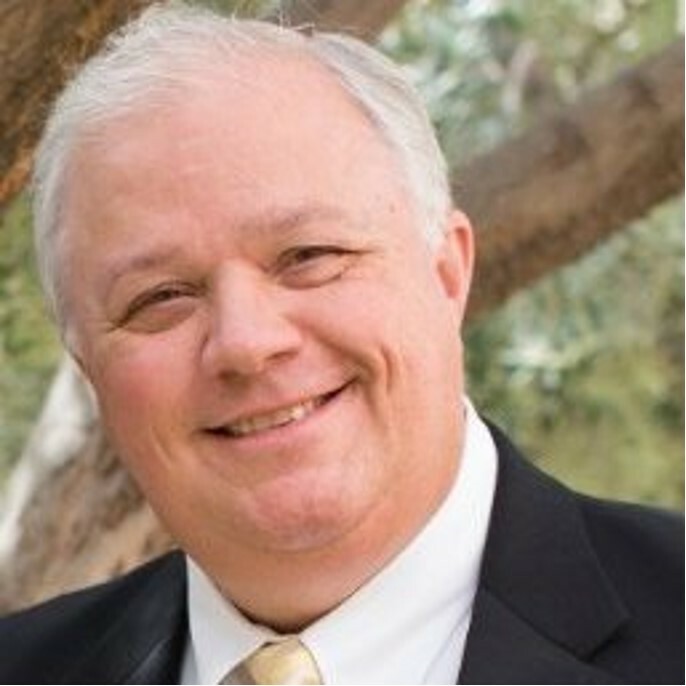 Prior to joining the city of Phoenix, Hank was Senior Vice President of International at the Arizona Commerce Authority. Hank was one of the key executives that assisted with the launching of the Arizona Commerce Authority in July 2011. From 2005 to 2011, Hank served as the CEO of AISLE21, an international consulting firm. Hank also serves as the British Honorary Consul to the state of Arizona. Marshall was raised overseas and spent many years in international corporate assignments. Marshall received his Bachelor of Science degree in Mechanical Engineering from Rutgers University in 1982. Hugh Hallman practices law based on his degrees in Economics & Accounting (Summa, Claremont Men’s College) and Law with emphasis in finance (Honors, University of Chicago). As a transactions lawyer, Mr. Hallman has practiced across the legal spectrum, but with significant concentration in domestic and international (cross-border) finance and taxation. The breadth of his practice experience provides his business clients with fully integrated legal and financial services that capture efficiencies and synergies otherwise often overlooked. Jeanine Jerkovic is a regional municipal business development leader with more than 10 years of experience in economic development. She is skilled at program development and management, marketing & communications, opportunity/lead generation, entrepreneurship coaching, competitive market analysis, international trade/export, public policy development, media relations, grant and proposal writing, and possess a strong deal-closing skill set. The City of Surprise has an active economic development program that attracts international companies from around the world. Joe Bockerstette is a Partner with Business Enterprise Mapping in Phoenix AZ. He has more than 30 years experience as a CEO, business consultant, and private equity/angel investor. Joe began his career with PricewaterhouseCoopers, where he became the firm’s lead consulting Partner in Consumer Products Supply Chain in the early 90’s. After leading two consumer products companies, he co-founded a private equity firm, equity management Group, in 2000. In 2006, Joe co-founded and was the first Managing Partner of Main Street Venture Fund, LLC, which was an angel pledge fund investing in regional business opportunities. Joe holds a BS degree in Industrial Engineering from the University of Cincinnati, and an MBA from Xavier University. 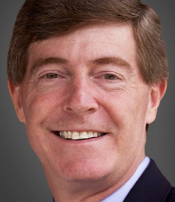 He has served as a director on a variety of public, private and non-profit boards and has co- authored two books on Angel Investing and Supply Chain Management. Currently John is on sabbatical in Cambodia. 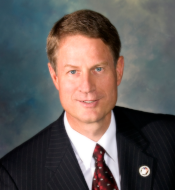 Previously he served as the President & CEO of the East Valley Partnership following his service as Mayor of Gilbert for the last seven years. He has 28 years of private sector business experience including 19 years with Apollo Group and 9 years with Ernst & Young. John earned an MBA from the University of Houston and a Bachelor of Science from Brigham Young University. He has been married to LaCinda Smoot for 36 years and together they have eight children and twelve grandchildren. Kevin is an experienced business banking professional and has been in banking since 1987, building business relationships and providing credit and cash management solutions to privately owned organizations. He enables clients to improve or protect profit-margins, increase cash flow and manage risk. Current and past customers include locally based manufacturers, distribution, and service companies; especially those who either import / export products to foreign markets. Kevin has an expertise working with business owners and financial managers on the challenges of cash flow forecasting, export financing, cross border treasury solutions, foreign exchange risk management, business acquisition financing, real estate acquisition, business development, working capital solutions, financial analysis, and networking. Kevin is leading our Programs & Events Committee. Kevin earned seven medals serving in the U.S. Marines in Operation Desert Storm/Desert Shield in Saudi Arabia and Iraq in 1990-91. His first job was as a history teacher and in 2001 he founded Odysseyware. Kevin grew the company from a business plan written on a napkin to the leader of online learning for the K-12 market. In 2014 Kevin retired from the organization and calls his time at Odysseyware "one of the most rewarding journeys of his life." Kevin currently spends his time investing, supporting non-profits that he believes in, presenting motivational speeches, and spending time with his precious family. He's been married for 30 years to Margie and they have three kids. His 19-year-old son is a freshman at ASU. Kim joined the AzLTA team in November, 2015. She previously served as Director of the Arizona-Mexico Commission, as well as the Governor’s Director of International Affairs and Strategic Initiatives. Prior to joining the Ducey administration, she served as Assistant VP of State Relations for the University of Arizona and has also served under three previous gubernatorial administrations. Kim earned a Bachelor of Arts in Media Arts and double minors in Communications and Spanish from the University of Arizona. She also holds a Master of Business Administration in international management from the Thunderbird School of Global Management. Linda Pastori is Associate General Manager, Development for K-J-Z-Z, the National Public Radio affiliate in Phoenix and K-BACH its associated classical music radio outlet. Her leadership and fund raising experience spans more than 25 years and includes tenure with educational institutions, chambers of commerce and public broadcasting development inclusive of both television and radio. Linda specializes in building teams and systems that advance strong donor-centric relationships. She has guided numerous nonprofit organizations through the process of capital campaigns, building solid annual and major giving programs and creating innovative initiatives that produce significant and long-term results. Chicanos Por La Causa (CPLC) is an all-encompassing organization for the underserved. CPLC was founded in 1969 to confront oppression facing Latinos in Phoenix, Arizona as part of the movement led by Cesar Chavez, who undertook a fast at our original headquarters. Since then, we have become one of the largest Hispanic nonprofits in the country, promoting stronger and healthier communities throughout the southwestern United States. We provide direct services impacting more than 250,000 individuals annually in Arizona, New Mexico and Nevada. Mike's experience spans socioeconomic strata and has led to work with people in international markets including Canada, Chile, Colombia, Egypt, France, Gambia, India, Ireland, Jamaica, Mexico, Poland, and Zimbabwe. Mike believes that living and working in a diverse environment is a catalyst to success for individuals and organizations. His commitment to excellence and public good found him recognized by the Miami Foundation for the Jacki Tuckfield Memorial Award, given to those that foster intellectual wealth building and economic prosperity. 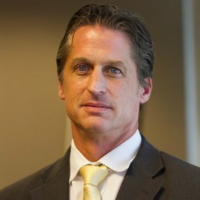 As Deputy Director of Global Chamber® Phoenix, Mike moved to Arizona after 15 years in Miami. 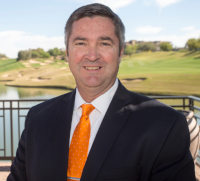 He has been consistently active in both his personal and professional life collaborating with organizations throughout Arizona that focus on creating opportunities for entrepreneurs and other business leaders. Education: EMBA, The University of Arizona; BA English, University of Miami Boards: University of Miami Phoenix Chapter. Michael is a business lawyer with special expertise in securities and international transactions. Special areas of expertise include healthcare, patents, intellectual property licensing, financial markets and Fintech, cross-border distribution and manufacturing, international tax, import-export-customs and in many vertical sectors including automotive, aerospace, clean-tech, sensors, software and many others. The Phoenix Business Journal is, a weekly publication reaching over 60,000 business professionals in the Phoenix, AZ area. Ray is responsible for managing all day to day aspects of the publication. Within one year of joining American City Business Journals, Ray was promoted to the role of Publisher in May 2014 after leading a successful sales effort as Director of Advertising at the Milwaukee Business Journal. Both the Phoenix Business Journal and the Milwaukee Business Journal are owned by American City Business Journals headquartered in Charlotte, NC. Prior to his roles with American City Business Journals, he was the Director of Advertising at the Rochester Business Journal from June 2008 through April 2013. Most of his earlier career was spent in sales and sales management in radio and television. As Executive Officer of Global Business Expansion, Rick focuses on raising the profile of Peoria locally, regionally, nationally, and globally. He has over 25 years of public/private sector executive experience. Rick was the Assistant City Manager for the City of Surprise where he founded an aggressive multilateral FDI strategy called “Surprise International” and a targeted marketing effort known as “C2B.” As Town Manager for the Town of Gila Bend, he attained over $2 billion in economic development in renewable energy and was also the founding City Manager for the City of Maricopa. 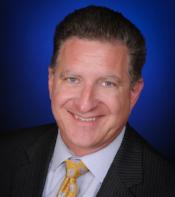 Rick co-founded Envirosafe Technical, a 260-employee firm focused on advanced technology facilities, and served as the VP of Regional Operations of Pentagon Technologies/MPW Industrial Services, a 2,800 employee NASDAQ company. Rick’s senior management experience includes working in, and with, some of the largest organizations in the world. Rick also served as President of the Institute of Environmental Sciences and Technology (IEST), a non-profit organization, where he won 5 international awards. Rick holds a Bachelor of Science in International Marketing, a Masters in Public Administration (MPA), and a Graduate Certificate in Sustainable Technology and Management (CSTM). 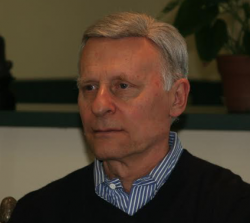 Native of Firenze, Italy, ‘Prof.’ Ancis, as he is called by his MBA students at the University of Phoenix, founded his Strategic and Marketing Business Consulting Group in 1981, in West Los Angeles, California. 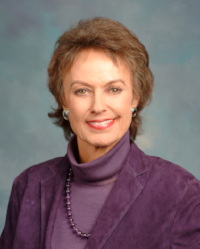 Having personally assisted more than 350 innovation technology clients, and trained over 65,000 seminar participants, in 2006, ‘Prof.’ Ancis moved to Arizona, as CEO of Coaching Professors, Inc, a consulting company providing strategic business and creative marketing advisory, sales re-engineering, consumer buyer research and psychology, and business metrics. In 2018, still active as CEO of Coaching Professors, Inc, ‘Prof.’ Ancis started Consulting Professors Online, LLC, a company totally dedicated to Online Consultancy and Online Business and Personal Interactive e-Seminars. Since 1999, Associate Faculty with the University of Phoenix and Certified Online MBA Instructor. Executive Director at Project C.U.R.E. 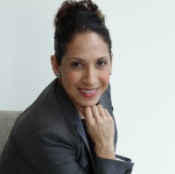 Ruth has an extensive 20+ year background in corporate and business development, fundraising events, major gifts, diversity, team training, Six Sigma green belt, and nonprofit business management. Ruth enjoyed a 16 year career at American Express before joining the ranks of Special Olympics. She held several Development Director Positions in Arizona, Northern California and Nevada successfully raising more than $7.5M between 2008-2016. Ruth was the Development Director at Hope 4 Kids International and successfully implemented the development department before accepting the Project C.U.R.E. Executive Director position in AZ. 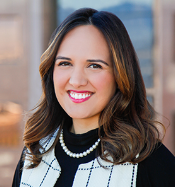 An Arizona native, Ruth Soberanes is the Director of Trade and Investment at the Greater Phoenix Economic Council. 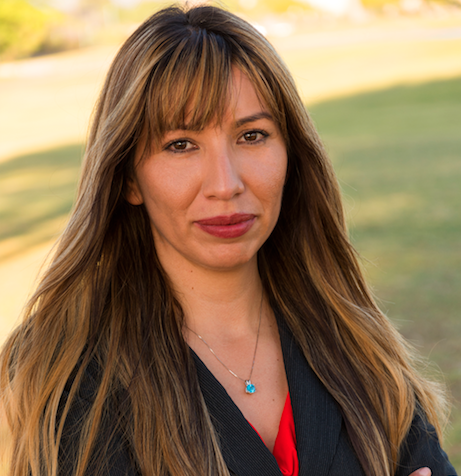 Previously, she served as the Director of Communications and Strategic Initiatives at the Arizona-Mexico Commission, Office of the Governor. In addition to her experience in government affairs and diplomacy, she has a research background, having served as a Research Analyst and the Communications Manager at the North American Research Partnership. She holds a Master’s in Diplomacy and International Relations from the Diplomatic School in Madrid, Spain and a bachelor’s degree in International Relations and Spanish, with a minor in Peace and Justice Studies, from the University of San Diego (USD). Her interests include U.S. foreign policy, international education, and women’s empowerment/economic development issues. Ruth has been honored with the J. Lester Shaffer Award for Outstanding Volunteerism to the World Affairs Council of Arizona. 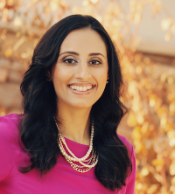 She also serves as the Vice President of the Phoenix Torero Club and is an active member of the Flinn Brown Civic Leadership Academy, the Arizona District Export Council, and the Phoenix Committee on Foreign Relations. 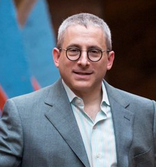 Stuart Graff is the CEO of the Frank Lloyd Wright Foundation, headquartered at Taliesin West. Stuart studied engineering at Northwestern, received his JD from Loyola University, and his MBA from Emory University. Following a career both private law practice and as general counsel of multinational divisions at NewellRubbermaid, he went on to lead global businesses with Newell Rubbermaid and Valspar. 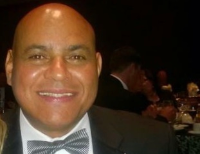 His transition to non-profit is based on a lifelong determination to serve the public good. 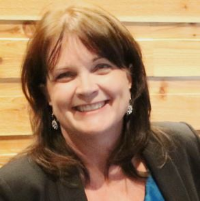 Susana Martinez is the Regional Economic Development Specialist for Maricopa Association of Governments (MAG) where she is heavily involved with international business development. Prior to joining MAG, Susana assisted the Mergers and Acquisitions team with Research as a Legal Analyst. An advocate for women, Susana spearheaded the Freeport-McMoRan Women’s Initiative Network and served as its first President. 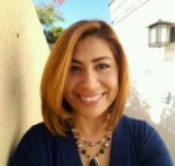 Susana holds a BA in Psychology and Business from Arizona State University and an MBA from Grand Canyon University. Susana leads our Young Global Leaders Committee. Susan co-founded GAPR in 1992, a PR firm with an emphasis on expert and thought leadership campaigns. She is a highly respected national media strategist who helps her clients to be promoted to the national media, weaving in compelling stories that resonate with top media outlets. Her campaigns catalyze her clients into leaders of their respective fields. Susan also has over four decades representing non-profits, leading public companies and subject matter experts. Her firm’s campaigns are fresh, creative, tech savvy, and innovative, a cocktail that engenders powerful results. She co-founded Safed House, a non-profit, that provides a welcoming place for refugees and recent immigrants to share their stories. Prior to founding her own PR firm, Susan was the publicist for PBS MacNeil/Lehrer NewsHour, She received a Master's Degree in Fine Arts from New York University, and obtained a Bachelor's Degree from Washington University in St. Louis, Missouri. Susan Shultz founded SSA Executive Search International, Ltd. in 1981, and has conducted senior level searches nationally and internationally, specializing in building and structuring corporate boards. She is recognized as a leading expert in corporate governance. She authored the highly acclaimed The Board Book, Making Your Corporate Board a Strategic Force in your Company’s Success (AMACOM) and has been featured in the New York Times, The Wall Street Journal, Business Week, USA Today, Strategic Finance, the Economist, CFO Magazine and numerous other media. 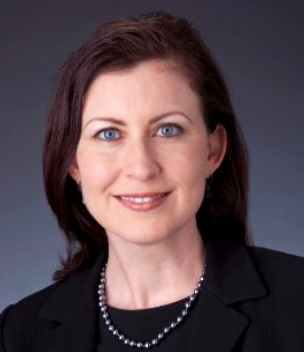 She also leads the Global Board Practice for INAC Executive Search Worldwide (43 countries), helping public and private companies build better boards of directors. Tine holds an MA in American Studies and has served in a variety of roles, most notably as Youth Advisor for the Prime Minister of Jordan. She believes that every successful partnership starts when you pair an individual’s passion and skills with an environment that is ideal for their growth. Centered around her clients’ needs, Tina ensures that she matches each project with a set of goals that emerge from within a subjects needs to excel and be appreciated, whether it’s directing youth engagement programs, creating new business models and developing creative curriculum. Her dearest Co-Founded Initiatives are NewThink Theatre-Festival and EduArt. Tony Banegas, MPA is the Executive Director of the Children First Foundation in Phoenix. He is also Consul Emeritus of Honduras after serving 10 years as Honorary Consul. He has been an Executive with a few large non profits in Phoenix dealing with child development, behavioral health and prevention services. 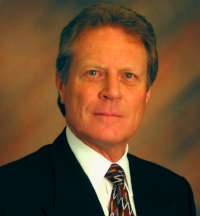 He was a Philanthropic Advisor with the Arizona Community Foundation for almost 9 years. He earned a Bachelors degree in Business Administration and a Master in Public Administration, both from Arizona State University. He is an avid soccer player and the proud papi of Sara and Sabrina, a School Psychologist and a Registered Nurse respectively. Alana Chávez Langdon works as Senior Community Affairs Representative at Arizona Public Service (APS). Previously she worked in Economic Development at Maricopa Association of Governments, and has 20 years of combined professional experience, including completing an internship in Economic Affairs with the US State Department in Madrid, Spain, She holds an undergraduate degree in Human Communication and a Master of Public Administration from ASU. In February 2015, she completed the "Leading Economic Growth"Executive Education Program at Harvard University. Alana was selected by the Phoenix Business Journal as one of the region’s Forty Under 40 leaders in 2012 and one of Arizona’s “Highest Ranking Women in Business” in 2011.